Balcony lift installed in West Vancouver. Sometimes called a vertical platform lift, Bruno’s rugged and reliable wheelchair lift is a residential lift that provides efficient access to a raised deck, porch, or even floor to floor access inside your home. Designed and built by Bruno’s master artisans, a Vertical Platform Lift offers safe, dependable service that reflects the unit’s simplicity of design and operation. 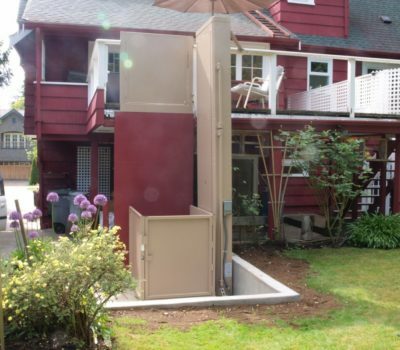 Below are some images from a May platform porch lift installed at a home on the West side of Vancouver.